You can use cabinetry and countertops, individual furnishings, and even closet conversions to make things visually appealing and far more functional than ever. You may want to keep a guest bedroom available in your home, but that does mean an entire room is given over to that limited use. This is the main reason that so many homeowners try to find a second purpose for their guest bedroom. However, a challenge comes right away thanks to the bed. 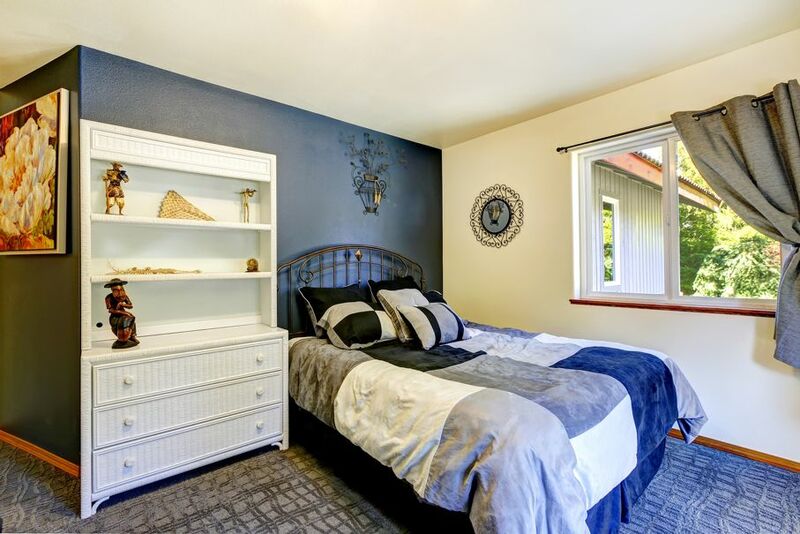 After all, how aesthetically pleasing is it to have a bed in the middle of your sewing room, man/woman cave, or home theater? 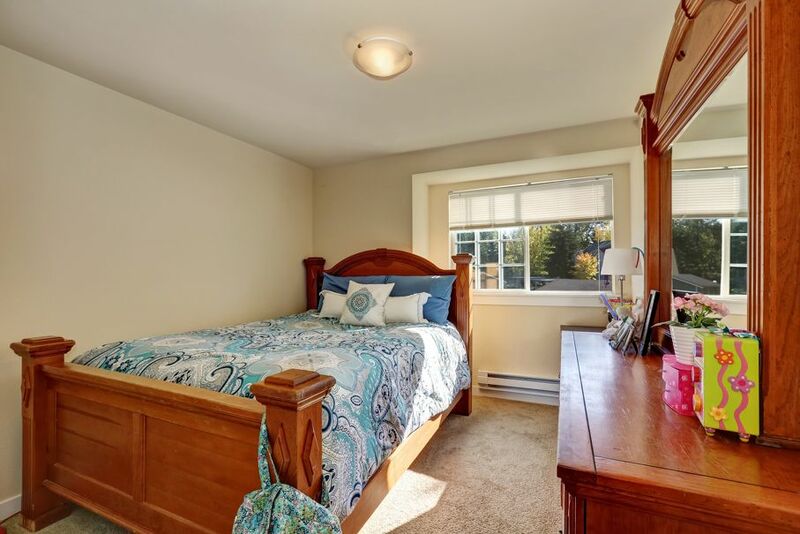 And what if you're opting to use the guest bedroom as a home office when it's unoccupied? This is why futons are a common choice for such spaces, serving as a comfortable sofa alternative and also doing the work of providing a comfortable bed when company arrives. Naturally, there is more to the bedroom as a workspace setup than just the issue of a suitable bed. You need any workspace to be as functional as possible at all times, and also able to convert into its alternative form without a lot of hassle, rearranging, and reorganizing. This takes some thought and planning, and there are some great ideas at work. 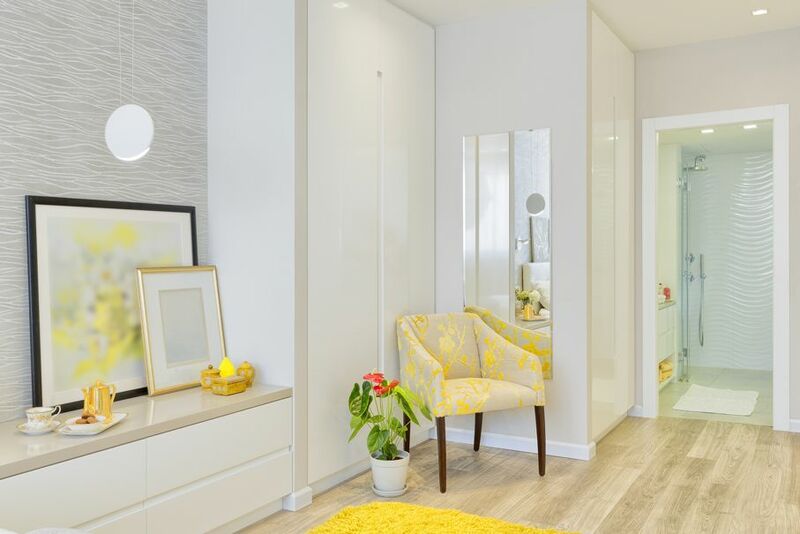 One of the key concepts is the use of built-in cabinetry that does the work of storage, working space, and dressing table. 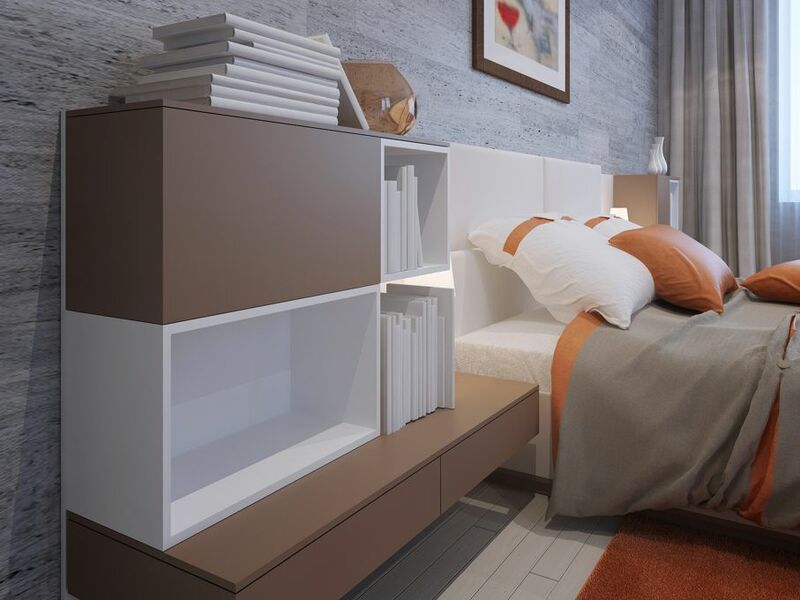 As an example, you can forego the nightstand that makes the room such an obvious bedroom, and instead install a standard floor-mounted cabinet-with-countertop that can incorporate a desk area or working space. 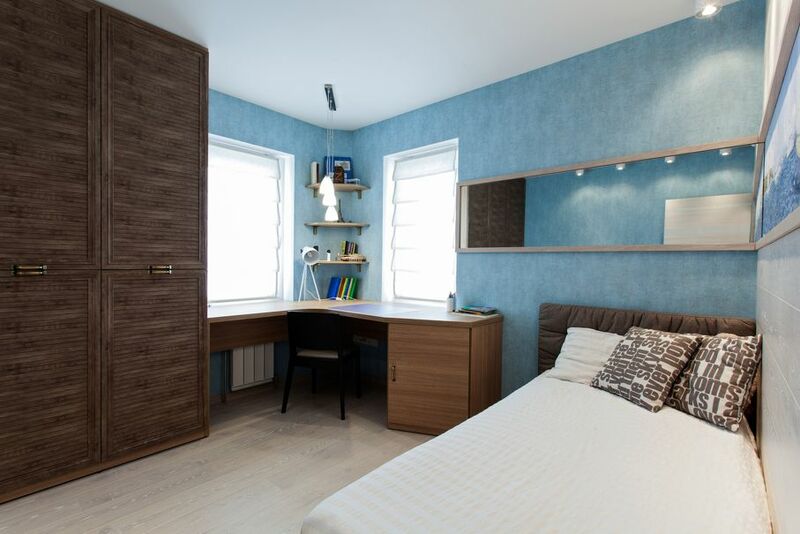 Whether it wraps the outline of the room or serves as some sort of divider, this is one of the most flexible options imaginable thanks to the cupboard spaces below. Use it for the bed linens, but also for whatever materials and devices you use when in the office. Have a scanner and printer combination? Keep it covertly out of sight in the cabinetry. Use the room for crafts? Those supplies can be tidily organized in your cabinetry and cupboards. When guests arrive, everything can be out of sight, and the room can look as if it has been waiting for them all along. The counter and cabinet combinations function as a desk and dresser or dressing table, and no one is the wiser. If the idea of a whole set of cabinets is not appealing or in the budget, you can cleverly turn to individual furnishings to do the work of hiding the room's alternate personality. A standard secretary desk can be used to conceal all of the office gadgets, and the drop-down desk just lifted into place when guests arrive. Even a revamped china cabinet or armoire can be converted into a quickly concealed office. Flea market fans can look for old school lockers, wooden cabinets, utility pieces, and industrial storage that can be updated and turned into the fun and funky pieces that conceal the dual nature of any guestroom. The key is to choose a design scheme for the space and opt for pieces that integrate seamlessly into the style. For example, if you're into country retro, then metal picnic baskets and a sturdy wooden cupboard with "shabby" paint details would work well to conceal your working materials or space. Of course, few spaces can help to make any room a dual-purpose space as easily as a closet. Build your office or workroom into the closet. Create a desk, hang shelving overhead and on the backside of the door, and run the electrical supplies into the walls, and you need only open the door to get to work, and at day's end, close the doors and turn that room into a space capable of warmly welcoming long- or short-term guests. Whether it's a guest bedroom that's sharing the space with a home office or workroom, or it's the only bedroom in the house doing double-duty, you can use cabinetry and countertops, individual furnishings, and even closet conversions to make things visually appealing and far more functional than ever. DISCLAIMER: Readers should keep in mind that any accounts of building a home presented in this article are written accounts by the authors, and are not necessarily reflect the opinions of the owners of this website. You proceed at your own risk if you attempt the activities described here.